In a time dominated by expansion and development, Don and Bev Hartranft have a different goal for the generations to come. Their vision, fueled by their love of nature and commitment to conserving family owned land, has become a reality with the help of the Kettle Moraine Land Trust. In 1880, Bev’s family acquired over one hundred acres of land in East Troy that she and Don now share. Not only is the land’s wildlife and vegetation abundant but so are the many memories made on the land. Bev recalls rich times with the whole family, especially the joyous moments shared with her father walking outside and being surrounded in nature; his dedication and commitment to working on the land inspired Don and Bev both to make sure the beauty and hard work is forever preserved. This motivation was acted upon in 2009, when the Hartranft’s decided a partnership with Kettle Moraine Land Trust was the right choice for them. 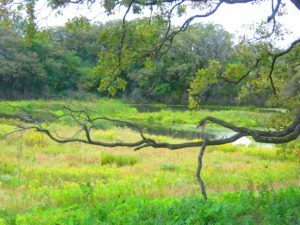 Together the Hartrantfts and KMLT developed a plan to permanently protect and preserve the important natural resources found on the Hartranft property. Although the land is protected by KMLT, Don and Bev still hold the right to own and sell their property, with the easement agreement remaining with the property title. The Hartranft’s spend countless hours working on the land and have developed a deep love and appreciation for it. Nature is irreplaceable, and the Hartranft’s have partnered with KMLT to forever protect it. Please note this conserved property is PRIVATE and not open for public use.